Collect the other 12-inch figures and recreate epic adventures between good and evil or invent your own heroic battles! 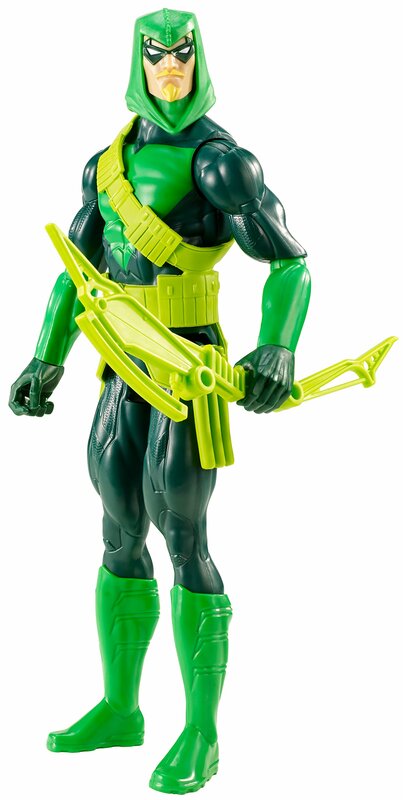 Get ready for DC Comics Super Hero sized thrills with this all new 12-inchGreen Arrow action figure. The Emerald Archer features 9 points ofarticulation for big battles and powerful poses and comes with his signaturebow and trick arrow accessory. Crafted with fine details, iconic colors, andhands that grip weapons, it will captivate both fans and collectors. Collectthe other 12-inch figures and recreate epic adventures between good and evil -or invent your own heroic battles! Each figure sold separately. Colors anddecorations may vary.